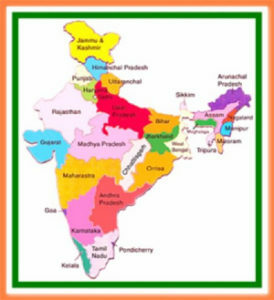 India’s colorful diversity in ethnicity, language, food, religion and culture comes, in no small measure, from the 29 States and 7 Union Territories that comprise this vast sub-continent. Gond, thought to be a corrupt form of Kond, means a forest covered mountain in the Telegu language and the area, in antiquity, was known as Gondwana. Although they carry the same name, Gond tribal sub-branches often have very different lifestyles: the Pardhan Gonds were bards and singers to Gond Kings while present day Gond artists mainly come from the Mandla-Dindori area of the State of Madhya Pradesh. Gond artists have based their paintings on their ancient myths and folklores and of images of daily life- not only from what exists but also much that is drawn from dreams, memory and imagination. 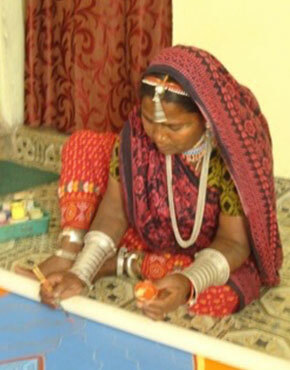 The Pardhan Gond style is unmistakable and distinctive, since artists work with inherited conventions. At the same time, each artist brings something unique and individual to their shared heritage. One of the ways is through the use of decorative patterns and motifs, almost a unique identifying marker, to fill the surface of images. These motifs have mainly come from everyday objects or nature: ears of grain, seeds, rope that binds sheaves of wheat, honeycombs, cut lemons etc. Imagination also has played an important role for creating their own pattern, dancers with linked hands seen from above is one such example. Numerous gods and goddesses, strange birds, flying snakes, animals and beautiful trees inhabit the songs of the Pardhans. It was these images that were expressed onto canvas in various colors and in a distinctive style. Jagdish Swaminathan [1928-1994], one of India’s most influential artists, is the one individual to whom we owe much in bringing indigenous art to national and then to international attention. He was a co-founder of Bharat Bhawan in Bhopal, a highly successful, multi-art complex funded by the Government of Madhya Pradesh in which he showcased modern and tribal art at the same level. 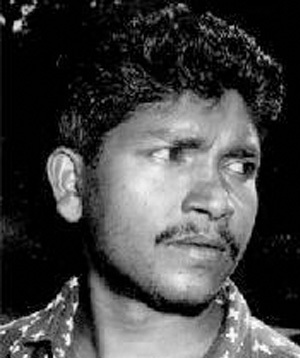 In 1981, Swaminanthan, while leading a team to document the indigenous art of Madhya Pradesh in Central India, discovered Jangarh Singh Shyam [1962-2001], a young Gond painter of the Pardhan sub-tribe, and brought him from Patangarh village of Mandla district to Bharat Bhawan. It was here that Jangarh started off on a journey that was to transform him from an unknown painter of village-hut wall murals to working on paper and canvas using water colors and acrylic paint. His extraordinary artistic talent soon brought Jangarh international acclaim. He went on to become a towering figure within the Indian indigenous art world until his untimely death in Japan at age 39. 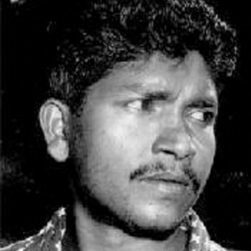 He remains to this day a huge source of inspiration to successive generation of tribal artists. “These artists share a gift for conveying an aesthetic experience that is perhaps best glossed with the sanskrit word laya: a subliminal rhythm, a cosmic flow, the rippling-in and rippling-out of the universal breath. Sinuous animals and fabular birds inhabit these frames; real and imagined aquatic and arboreal creatures address us, speaking not only from an ecosystem but also from an ecology of the mind”. 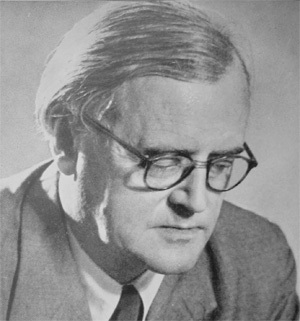 “They are adept at calibrating the gradations of strangeness: in their epiphanies, trees sing in many voices, their trunks morphing into rivers in flood, swollen with uncontainable memories; snails fly, boars fight tigers over territory; ancestral figures cross vast distances on tireless horses, and turtles carry the legends of dead islands across the oceans”. “In the paintings of all four artists, we also find traces of the spatial dispositions of Mithila painting from northern Bihar, auspicious motifs from the Pithora stories of the Madhya Pradesh-Gujarat border, the geometricised figuration of Warli ritual painting. and occasionally, we also find references to the work of contemporary paintings by Australian artists of aboriginal heritage”. The French art critic and collector Hervé Perdriolle examines the close resemblance of Gond art with the aboriginals of Australia with their common use of dots that permeate their painting. “For the aboriginals the dots refer to dreaming and territory; with regard to the Gonds, Jangarh explained to me that when the shamans of his tribe go into a trance, they have the feeling that the particles of their bodies disperse into space to join with those of the spirits and form other bodies. This is an ancestral, poetic vision of the atom, of the infinitely small joining the infinitely large”. 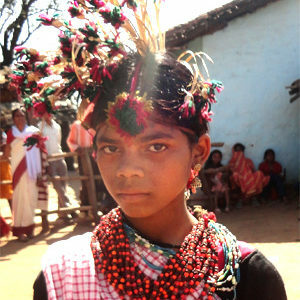 The Bhils are the 3rd largest tribe of India and are spread across several States in Central India. The Dravidian word for bow is ‘Bil’ and the Bhil are well known marksmen with the bow and arrow. Bhil paintings are a contemporary version of Pithora paintings which were originally painted on walls, this form of art has found its way on to paper and canvass . The subject matter of Bhil paintings extends from myths, rituals and folklores to images of daily life . Late painter J Swaminathan discovered the latent talent of 18 year old Bhuribai, who had come to Bhopal as a daily wage labourer for construction of Bharat Bhavan(multi disciplinary art center), he made her experiment by transposing her traditional Bhil wall paintings on to paper. Today a good number of Bhils have taken to painting on paper and canvass. The Pithora painting is a typical.It has some definite figures and these are essential parts of the whole painting.The first part is to draw the enclosure that binds the paintings and sets the limits.He then draws the Baba Ganesh, always depicted smoking the hukkah.The second is the black horse the Kathiya Ghoda, who invites everyone for the ritual and dinner.The four main four white horses facing each another are painted.Women carrying pitchers(panihari) , the Rani kajal is a two headed horse and is god of rain are painted. There is also a image of a copulating couple called Chinhal present as a part of the painting.Presence of a 12 headed man with a snake and a sword called Baar Matha no Dhani the is always part of the painting. The Warli tribe is to be found in the Thane district of Maharashtra State and despite being located not far from the teeming financial capital of the country, the mega-city of Mumbai, they remain remarkably untouched and unaffected by urban influence. On one hand their simple, matchstick-like figures most closely resemble pre-historic cave paintings and yet the scenes depicting their everyday village life and social customs convey a complex sense of motion and rhythm. Their paintings are also distinctive in the use of white rice-paste paint on a cow-dung and earth color base. These paintings by the Warli, subdued in color but highly elaborate in content, are in marked contrast to the vibrant colors used by the other Tribals of India. 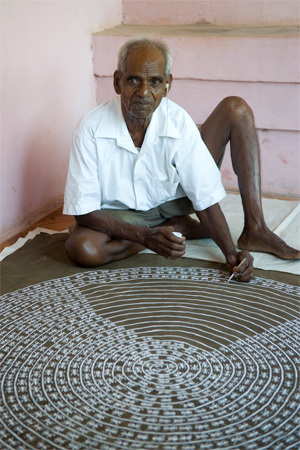 “Jivya Soma Mashe is honoured for his creative reinvention of an art vocabulary that was disappearing, for his vivid representation of the Warli vision of nature and culture in equilibrium, for highlighting the contemporary relevance of local forms of knowledge, and for his significant contribution to the culture and development of the tribal peoples”. In 2011 Mashe was awarded the Padma Shri by the President of India. The Saura of Odisha are also well known for their tradition of painting on the walls of their dwellings using religious and ceremonial themes. Like the Warli, primitive stick figures are used in the paintings of everyday village life but a deeper spiritual meaning exists in the worship of their deity Edital during seasonal rituals related to the harvest and family celebrations such as marriage and the child birth. 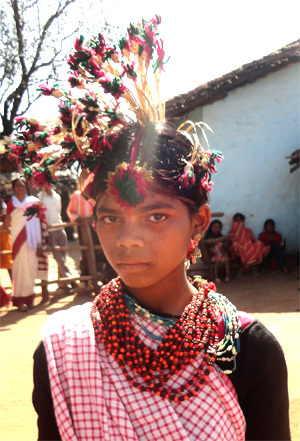 India has the largest population of tribal or ‘indigenous people’ [as defined by the UN] in the world. The recent 2011 Census of India put this number at 104 million or 8.6% of the total Indian population of 1.2 billion.1 If they were a stand-alone nation, they would be numerically 30% bigger than Germany today. There are believed to be upwards of 600 distinct tribal communities and almost 2/3rds of them are concentrated in a swath of seven contiguous States that run across Central India: Madhya Pradesh, Maharashtra, Gujarat, Rajasthan, Odisha, Jharkhand and Chhattisgarh. 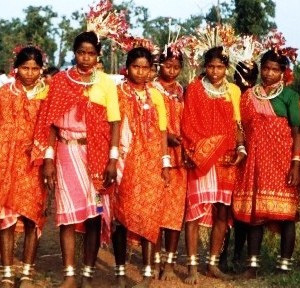 In 2001, the Bhils and Gonds numbered 12.7 million [15%] and 10.9 million [12%], respectively making them the two dominant tribal groups within the country. 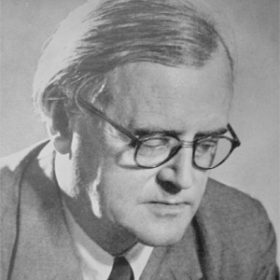 It was Verrier Elwin [1902-1964], born in England and later taking Indian nationality, who produced some of the early anthropological studies of the tribals of India. 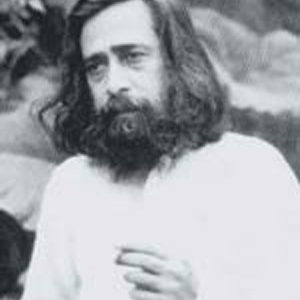 He was a follower of Mahatma Gandhi and a participant in the national movement for independence from British Rule. He lived among the Gond tribals of Central India, married a Gond and was a fierce defender of their rights. 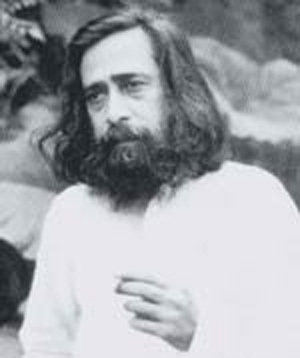 He was later appointed Advisor to the Government of India on tribal affairs in North East India. A long and tragic history of discrimination has pursued the tribals going back to pre and post-colonial times. They were always ‘outsiders’ who, when the local monarch’s rule did not reach their forest domain, were able to govern themselves. Caste-based religious and ‘private property’-based economic sanctions gradually moved them to the lower rungs of the social ladder.